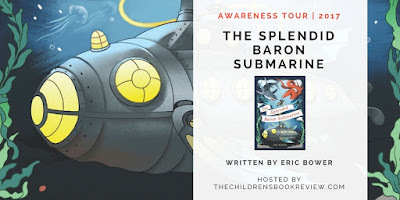 TCBR AWARENESS TOUR: The Splendid Baron Submarine by Eric Bower - REVIEW + GIVEAWAY! 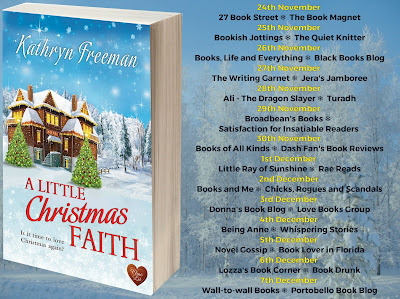 Today, we're joining The Children's Book Review for a BLOG TOUR already in progress. It stars the second installment of a peculiar little series that promises nothing but delivers everything...and that's just for starters! If you're ready for some zany, clever, slightly sinister, and dangerous fun, full speed ahead for today's book of choice is on deck! Can the Baron family embark on their newest adventure without the eggy and depressing Aunt Dorcas? Will the Barons find the treasure they seek? Will they save the country from financial ruin? Where does the monkey fit in, anyway? Do we like asking questions? Not really, but inside you’ll meet someone who likes asking questions and then answering them (despite his claims to the contrary, he really does like it). That was ridiculous! That was absurd! That was mostly unlike anything I've ever read! I loved it! Seriously, good times to be had between these pages and a crazy amount of unbelievable yet incredibly true adventures to embark upon! ...and I stand by that! "And that's when the killer monkeys showed up. They all started to attack me, slapping me senseless with their big monkey paws, when suddenly -"
...I mean, come on! If that doesn't grab your attention, I'm not certain what will...but I will endeavor to do so further because the story outside of its wit and wonderment is just as entrancing! We start with Mongo and Knuckles, two goons on a mission that they can't quite keep between them (the definition of secret escapes them entirely), continue with the "very peculiar underwear, Stephen" person (no comment), head out with the Barons on a secret-type mission of their own where we encounter any number of dangers and problems that need more than simple luck to be solved (not the least of which include a monkey, a shark, and an eel), and wind up dangling between the jaws of oblivion (dun dun dunnn!) just when all seemed said and done. It's as much a story of curiosity, invention, and imagination, as it is of self-worth, family standings, and never-saying-die. 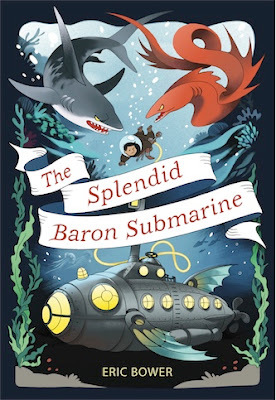 I think of it as The Goonies meets A Series of Unfortunate Events...and I know I'll be seeking out the first book as well as the forthcoming third in this utterly ridiculous but OH-SO-FUN series! 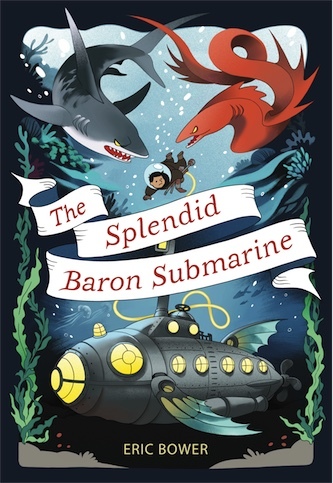 Recommended for Children's Fiction fans of the target age group and beyond! Eric Bower is the author of The Bizarre Baron Inventions series. He was born in Denville, New Jersey, an event of which he has little recollection, yet the people who were there have repeatedly assured him that it happened. He currently lives in Pasadena, California. His favorite type of pasta is cavatappi, his favorite movie is The Palm Beach Story, and he is the proud recipient of a “Beanology Degree” from Jelly Belly University in Fairfield, California. His wife and family have told him that the degree is nothing to be proud of, since “It’s not a real degree. You know that . . . Right?” and “Eric, they literally give them to everyone who visits the Jelly Belly factory,” but he knows that they’re all just jealous. 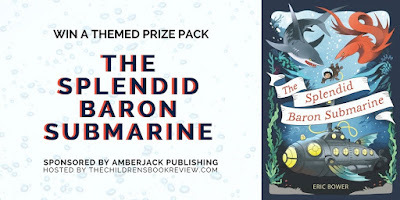 Enter to win a The Splendid Baron Submarine themed prize pack! 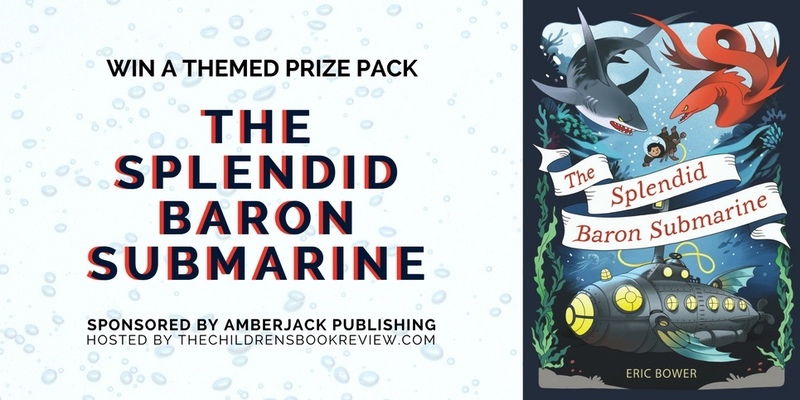 A The Splendid Baron Submarine themed gift pack. Includes some pirate-themed goodies, Go Fish, and ghostly treats as well. Giveaway begins November 15, 2017, at 12:01 A.M. MT and ends December 15, 2017, at 11:59 P.M. MT. Giveaway open to residents of the fifty United States and the District of Columbia who are 13 and older. Prizes provided by Amberjack Publishing. Special thanks to Bianca at The Children's Book Review for the chance to bring this tour to you. (THANKS!) For more information on this title, the author, THIS TOUR, or those on the horizon, feel free to click through the links provided above. Speaking of this tour, be sure to stop by the other sites participating in this online party for more bookish fun! 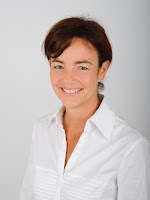 RRR BOOK BIRTHDAY SPOTLIGHT ON... 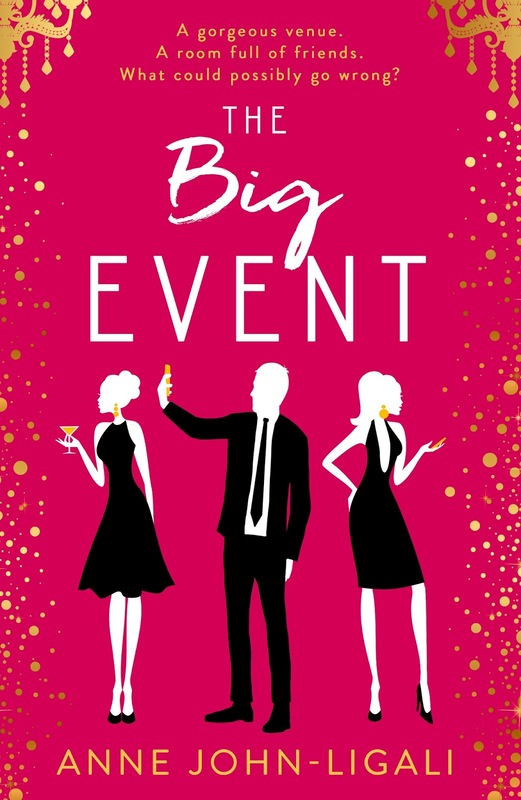 The Big Event by Anne John-Ligali - REVIEW + GIVEAWAY! Though not a fan of short stories, and to tell the truth this one is VERY short, I was rather surprised by my fond feelings for this one in the end. Perhaps it was the way the author portrayed the veritable spectrum of "characters" one meets when involved with the virtual world...their social media selves versus their real life personas. I mean really, one can be, say, or do practically anything online, but in person, it's a different story. I loved how Constance seemed true to herself whether on or off line, and how she sought to deepen those tentative connections made virtually with in person, concrete, one on one time. Was her innocence shattered? To some degree, but not entirely...and it's that one person that you mean the world to so unknowingly that makes it all worth wild. A great pick for a quickie read this holiday season and a great reminder to be your true self no matter where you spend most of your time. Online or off, you're still you...and that's special enough all on its own. Special thanks to Rachel at Rachel's Random Resources for the chance to bring this tour to you. (THANKS!) For more information on this title, the author, THIS TOUR, or those on the horizon, feel free to click through the links provided above. This title is available today, so click on over to Amazon to snag your copy now! 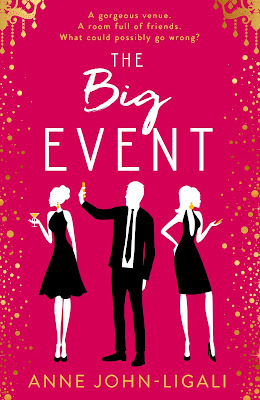 DON'T MISS YOUR CHANCE TO WIN AN AMAZING PRIZE FROM THE AUTHOR HERSELF! 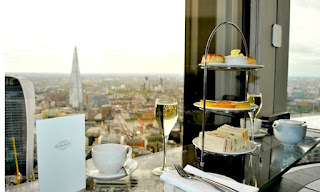 ...a Sparkly Afternoon Tea for Two at Vertigo 42 in central London and one e-copy of The Big Event. 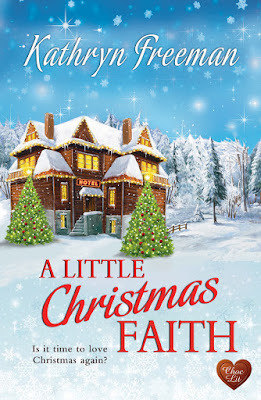 RRR SPOTLIGHT ON... A Little Christmas Faith by Kathyrn Freeman + SPECIAL GUEST POST! I mean, it's all Mr. Grinchy man with the too small heart for all things holiday related and Yuletide lady with holiday spirit to spare, coming together to...well, potentially have their own little Christmas miracle of the heart, and maybe a moment under the mistletoe. 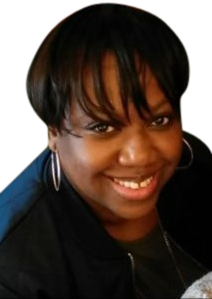 Well, if you think THAT was good, here comes the piece de resistance....a special CHARACTER INTERVIEW with our leading lady herself, conducted by...the author. Thank you so much for hosting me on your blog today. To celebrate the publication of my latest book, A Little Christmas Faith, I’d like to share with you an interview with one of the main characters, Faith Watkins. She’s just opened a new hotel in the Lake District and is being asked about it on local radio. Would you mind telling us a little about your new hotel? Faith: Would I mind? Try and stop me talking about it. The Old Mill Hotel is what I like to call a boutique hotel. It’s small but perfectly formed. It has fourteen bedrooms, a function room, a gym and a restaurant run by two amazing Italian brothers who make the most delicious pasta, which isn’t helping my waistline. I understand the official opening is today. When do your first guests arrive? Faith: I have my parents staying tonight – my guinea pigs, but don’t tell them that. We’re looking forward to welcoming our first guest tomorrow. He’ll be staying in one of our suites. I hope he likes it, because he’s booked in for two weeks. What am I saying, of course he’ll like it. You’re opening just in time for Christmas. Was that deliberate? Faith: We’d planned to open a few months ago, but then we had building delays. Still, nobody could be more excited than me that The Old Mill Hotel is opening at my favourite time of year. It’s meant I’ve been able to go crazy on the Christmas decorations. You should see the size of the tree in the hall. Oh and I found this gorgeous reindeer family in the sales last year. I couldn’t resist. I’m a bit of a sucker for bargain, especially if it’s to do with Christmas. It sounds like the ideal place to stay for those who love Christmas. Faith: Thank you, I like to think so. We can offer guests a roaring open fire, the scent of fresh pine from the tree, an abundance of decorations and delicious festive food. All against the beautiful backdrop of the Lake district. Of course I’m ridiculously biased, but I think it’s the perfect place for Christmas lovers to come and enjoy Christmas. I’ve two teenage boys and a husband who asks every Valentine’s Day whether he has to bother buying a card again this year (yes, he does) so the romance in my life is all in my head. Then again, my husband’s unstinting support of my career change goes to prove that love isn't always about hearts and flowers - and heroes can come in many disguises.